KAIBAB LAKE — We sampled the lake and caught a lot of largemouth bass, crappie and rainbow trout scattered around the whole lake with the bigger bass being caught on the upper end of the lake on the boat ramp side. Try fishing from the cove just east of the boat ramp to find the nice largemouth. 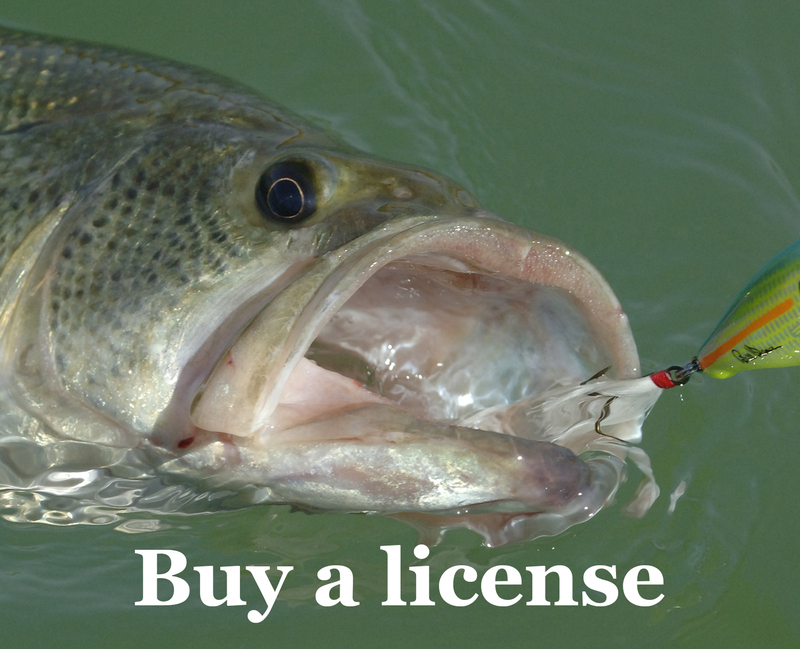 No new angler reports. Folks were catching crappie on the upper end of the lake and folks are still catching catfish. Over 40,000 trout have been stocked in the lake this year. CATARACT LAKE — We sampled the lake caught some really nice channel catfish and quite a few largemouth bass up to 2 lbs. We also sampled some really nice sized bluegill. Most of the catfish were concentrated along the north shore of the lake. CITY RESERVOIR — No new reports. Stocked this week. DOGTOWN LAKE — We electrofished the lake on 8/13 and caught some nice sized largemouth bass. The biggest we caught was almost 3 lbs and we caught a total of 10 bass 2lbs or larger during the sampling. The bass were concentrated near the dam and along the north shore. I have heard reports of some nice Brown Trout being caught by anglers at Dogtown. There haven’t been any details just pictures. Stocked last week. SANTA FE — Lake is open. We electrofished the lake on 8/16. We caught a lot of 5-6 inch yellow perch and black crappie. WHITEHORSE LAKE — We elctrofished Whitehorse 8/14 and found out some of the largemouth bass stocked in March had spawned over the summer. Most of the fish were 5-8 inches long when they were stocked All of the bass and the black crappie looked healthy and the bass were fat. The biggest bass we caught was 12 inches long and weighed over a pound The minimum size you can keep bass in Whitehorse is 13 inches. Please release all of the bass caught this year so we can get them established. More bass will equal bigger crappie in the long run. ASHURST LAKE — Cooler weather means better trout fishing in the area. Fly fishermen were catching fish yesterday when I was on the lake. For folks who don’t fly fish try a joes fly fished behind a clear casting bubble. If you prefer bait fishing I would try garlic powerbait on the south west area of the lake. Stocked last week. FRANCIS SHORT POND – Fall trout stockings have begun on the pond. 500 trout were stocked last week. Scheduled to be stocked this week. KINNIKINICK LAKE — No reports. Scheduled to be stocked with Brown Trout this week. OAK CREEK — No report. Stocked last week.